1. 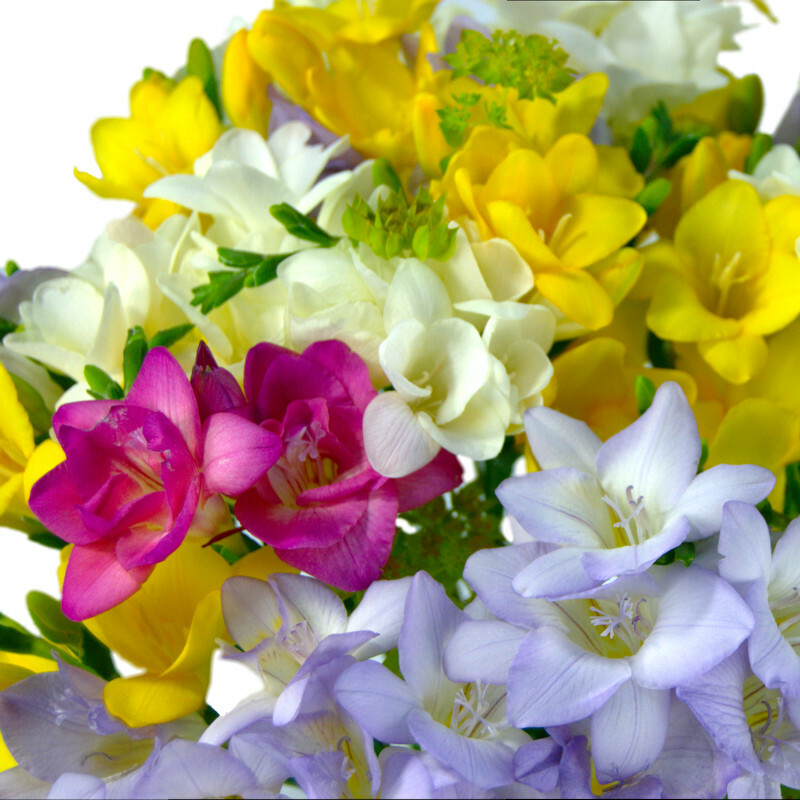 Freesia blooms during the months of spring and needs a temperature of below 21 degrees Celsius. 2. Freesia are native to Africa and are mostly found in South Africa specifically. 3. From 16 to 20 species of freesia are in existence and there are also over 300 hybrids! 4. The freesia flower derives its name from the 19th century German physician, Friedrick Heinrich Theodor Freese. 5. Freesia is renowned for its distinctive aroma which has led to it being used in the creation of products such as lotions, soaps and shampoos. The strength of their odour depends largely on the colour with red and pink emitting the most powerful scent. 6. Freesia is traditionally used in 7th wedding anniversary celebrations, so if you’re stuck for inspiration for a gift for your spouse on a 7th anniversary, a bouquet of fresh freesia is always a great idea. 7. Remember not to mix freesia with daffodils – the daffodils release substances which will affect the longevity of your freesia flowers. 8. With regard to the language of flowers, freesia represents friendship, thoughtfulness and innocence. As such, a bouquet of fresh freesia is a great idea if you are seeking a unique and generous birthday gift for a dear friend.